As soon as I got my new Hello World I Want It All Bundle from My Mind's Eye, I knew I wanted to scrap these photos that my Mom took from the plane on a flight from Reno, NV to L.A., CA. 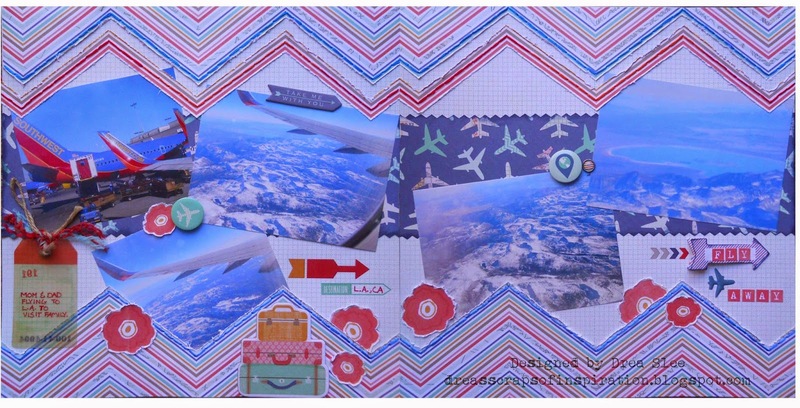 This new collection is so fun and perfect for all those travel photos! 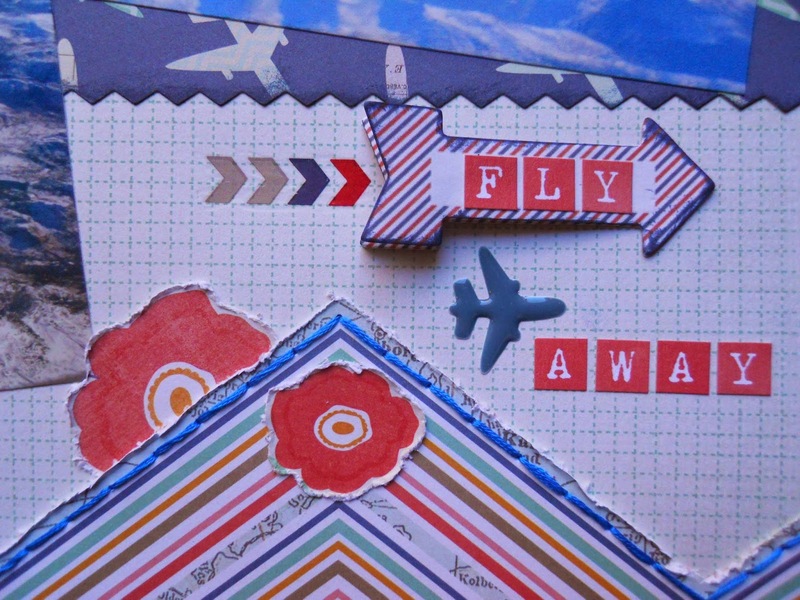 I started by cutting along the zigzags from two of the papers from the 12 X 12 Paper Bundle, and distressed the edges with my Tim Holtz Paper Distresser. I hand-stitched along the edges using blue embroidery thread, and stitched the middle zigzag with red and orange. 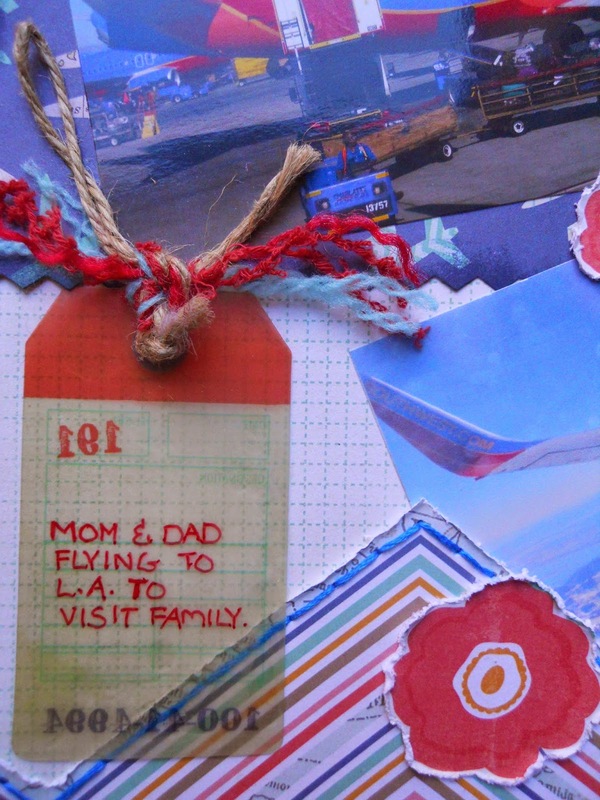 I added some rope and fibers to the tag I got from the Travel Mixed Bag, and wrote on it using a red Sharpie. The flowers were fussy cut from some of the paper and also distressed. I added some chipboard and All Aboard Flair, which are the round embellies, along with the striped Decorative Brad on the right. The arrows are rubons, except for the arrow in the title, which I made using the Discovery Sticky Notes and adding the alpha Travel Stickers to it. The navy plane came from the Enamel Shapes. Make sure to pick up your bundle at FotoBella, and check out all of the new goodies from CHA!! Love it! This has great texture and movement!